You are an adventurer. You travel to a place because it’s different and new. Before you leave on your trip, you probably check travel blogs to find out what there is to see. 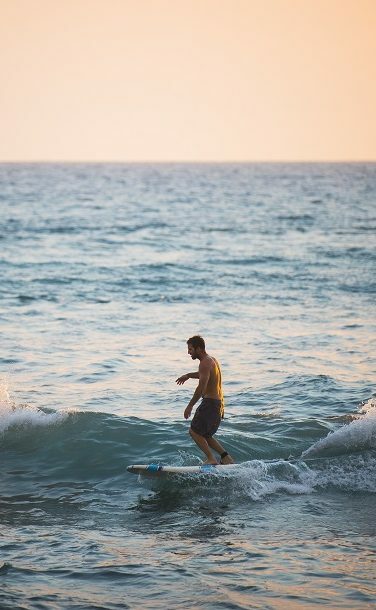 You’ve got a list of the hot spots, and you’re ready to chat with locals in search of hidden gems. The island of Hawaii is perfect for you. From the stars to the sea and everything in between, there’s something for everyone! Grab that rental car and get ready to explore. 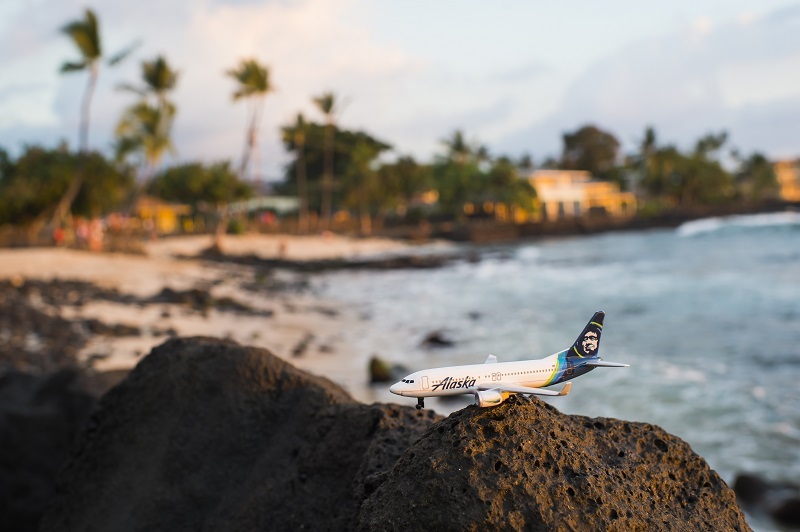 Alaska Airlines flies 4-6x daily to Kailua-Kona on the west side of the Island of Hawaii from Seattle, Portland, the Bay Area, San Diego and Anchorage. 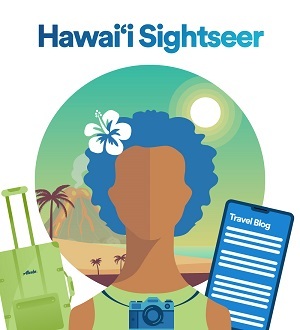 We offer low fares from the West Coast to Hawaii and while a five-hour flight is long, time flies when you are watching your choice of over 400 free movies and TV shows. 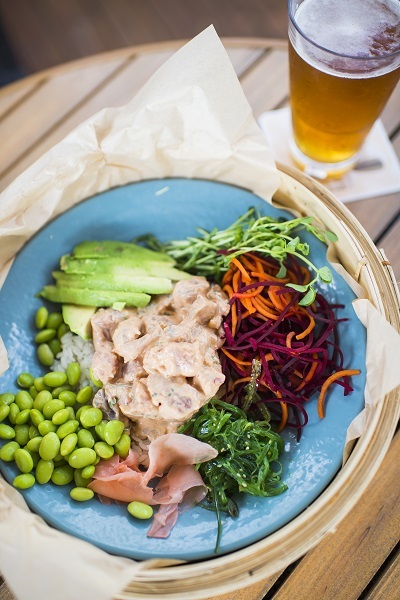 Also, our rotating seasonal in-flight menu full of fresh ingredients is the perfect start to your island vacation. Up and down the west coast of Hawaii are numerous beaches. To the north is the Waipio Valley, with its dramatic cliffs that sweep down to the sea. Northeast is Mauna Kea volcano and its observatory, home to some of the best telescopes and stargazing on the planet. South and then east along the Hawaii Belt Road leads to Volcanoes National Park, and further east from there to the greener, rainier Hilo and its neighboring towns. Waipio Valley was the ancestral home of the Hawaiian kings. The valley floor itself is a challenging, steep hike or a drive down with a 4×4, but the reward is a black sand beach and a beautiful waterfall. If you opt out of the valley floor, the lookout point still gives enough dramatic views of the ocean and the valley to rival Kauai’s Napali coast. When you think of Hawaii you picture a stretch of lovely sand dotted by some palm trees. Come to Anaehoomalu Bay (or A Bay for short) to make this vision a reality. Thanks to the offshore reef, the waters of A Bay are usually gentle. 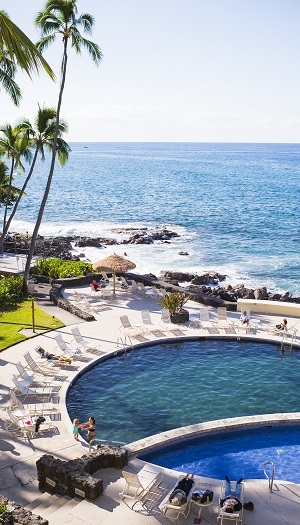 Swim, snorkel, and explore the tide pools and fishponds — your perfect Hawaii day is waiting! The Hawaiian Islands are pretty remote — California is about 2,400 miles away (fun fact: the southern tip of Alaska is about as far). There are no major city lights on the Island of Hawaii to wash out its night skies, making it a stargazer’s dream. This is why, atop Mauna Kea volcano, various astronomical facilities have installed some of the world’s most powerful telescopes. While you can’t get into the actual observatories, you can drive up to the visitor center. On Tuesdays, Wednesdays, Fridays and Saturdays, volunteer star guides host free star gazing sessions with public telescopes. There are also special cultural and astronomical presentations on Saturday nights. It gets cold at 9,300 feet, so make sure to bring jackets and warm clothes (you probably never expected you’d need that in Hawaii!). Luckily, the visitor center has coffee, hot chocolate and snacks for you to enjoy while you take a closer look at Jupiter, Saturn, the moon, and even the Andromeda galaxy. You’ll find beaches on every Hawaiian island, but this one has something special: an active volcano that is still spewing lava and continuously growing the land. You can learn all about Kilauea at Volcanoes National Park, maybe even see some lava. Just check with the Visitor Center to find out which parts of the park are safe to visit — eruptions have been frequent and strong lately. 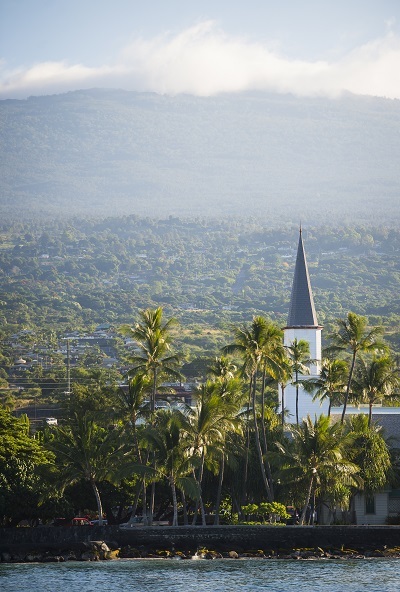 This unique historical park is a sacred site, where ancient Hawaiians could seek refuge. Criminals were pardoned and absolved here, and defeated warriors could find asylum. The park contains historic structures, ruins and other fascinating artifacts of traditional Hawaiian and Polynesian culture. Turtles frequent the fishpond inside the park as well as the rocky bay just beyond it. This is a tough area for swimming, but the snorkeling is excellent. 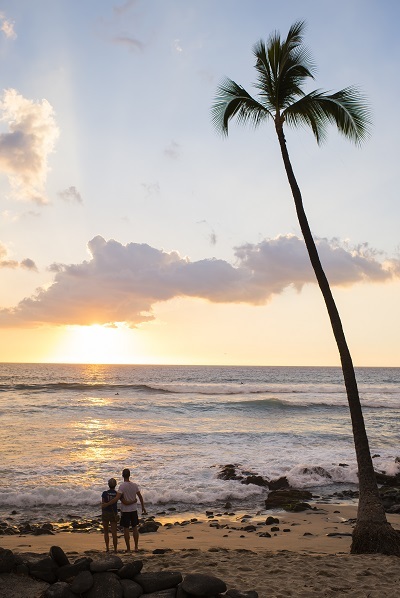 We’ve only scratched the surface of what Hawaii has to offer. 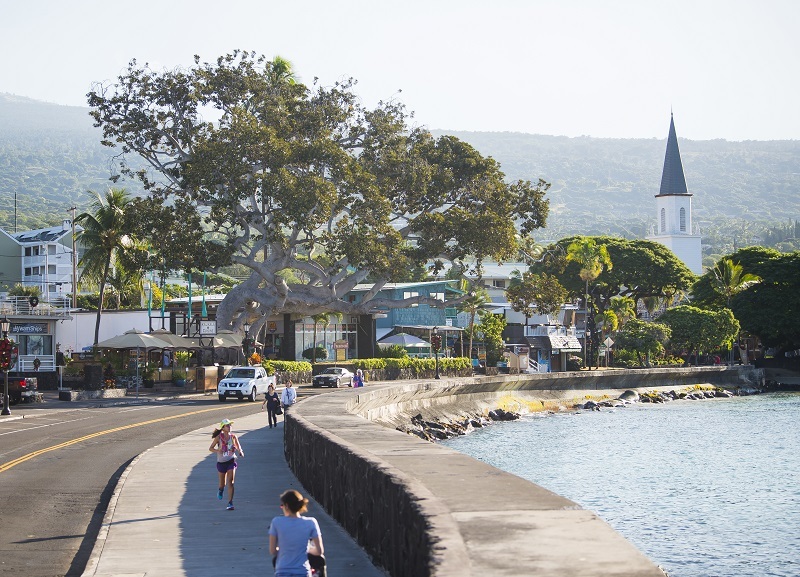 For more ideas on things to do, places to eat and activities to try, check out our Kona destination page! We have a feeling you will love it so much that you’re going to want to plan a return trip before you’ve even left Hawaii!